Make a great first impression, increase efficiency and maintain security with SV3’s cloud-based visitor management solutions. Loading docks and loading bays are crucial to your building’s infrastructure. While they are essential for the loading and unloading of commodities from trucks and other vehicles in our industrial buildings and warehouses, they also provide direct access to staging areas, storage rooms, freight elevators and more. These freight entrances are often vulnerable, providing an invitation to risks like theft or worse. With a lack of access control and the open nature of many loading docks, potential criminals, uninsured vendors, or casual parkers have an easy way to take advantage. It’s estimated that in the United States alone, around $30 billion in cargo and freight is stolen every year, according to the FBI. Not to mention, because of the access provided to critical infrastructure points, loading docks can be exposed entry points for terrorist attacks, causing a nightmare for you and your company. These types of attacks can be devastating to a company’s reputation, earnings, and even worse to their employees’ health and safety. The cargo that is most susceptible to these types of attacks includes pharmaceuticals and consumer electronics. A highly publicized or significant attack on your facility can be extremely harmful to your brand and reputation, creating a negative association between terror and your company. Don’t let your facility’s loading dock become another victim and statistic. Utilizing Building Intelligence and the SV3® system can provide a complete loading dock solution for your facility or business. The SV3® system provides up-to-the-minute vehicle access records of all past, present, and future authorized deliveries. Our cloud-based solutions are great for managing visitors, vehicles, and vendor access, and our dock scheduling software can greatly improve your facility’s security and safety. Contact us to get started today, and keep reading to find out how Building Intelligence and SV3® can help with your loading dock management and security. SV3® solutions from Building Intelligence allows you to increase the security measures for your loading dock by providing dock schedule software that allows you to track your authorized deliveries and vehicles entering your premises. With SV3®, you can create a network of frequently used visitors and schedule single-occurrence, round-trip, and recurring deliveries all with our cloud-based security system. SV3® allows you to maintain a complete daily manifest of all your facilities’ expected arrivals, while also allowing access to a complete history of all the deliveries you’ve had. Our dock scheduling software allows you to schedule and manage incoming and exiting trucks in one secure, easy-to-use system. You can provide historical data and analysis on traffic, generate custom watch lists and incident reports, and export reports from a specific date range, vendor, or tenant so you can stay up to date on their activity within your facility. SV3® can assist with your loading dock management by protecting your facility from the unknown. It ensures that any truck, vehicle, or visitor to your facility is properly credentialed and welcomed. Send an invitation email with a customized QR code. Get notifications upon visitors’ arrival. Schedule and track your loading dock visitors from anywhere, anytime. Validates the identity of visitors, vehicles, and vendors for access approval and addresses backdoor and access point risks. Building Intelligence and the SV3® security solution was awarded the top honor as the Best New Product at the 2014 Security Industry Association’s awards ceremony, and we’ve been providing security solutions to commercial enterprises and facilities ever since. Danger lurks around every corner. 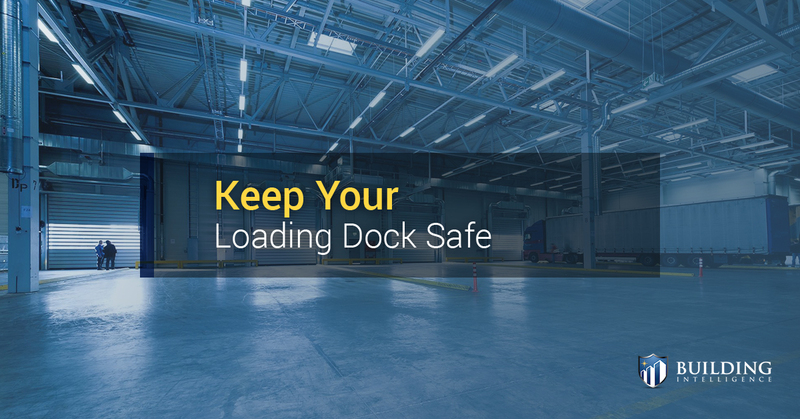 Don’t let your loading dock facility be at risk any more. Get the loading dock management software that actually makes a difference. Contact us to see why SV3® is the solution for your businesses’ visitor management and get started today.